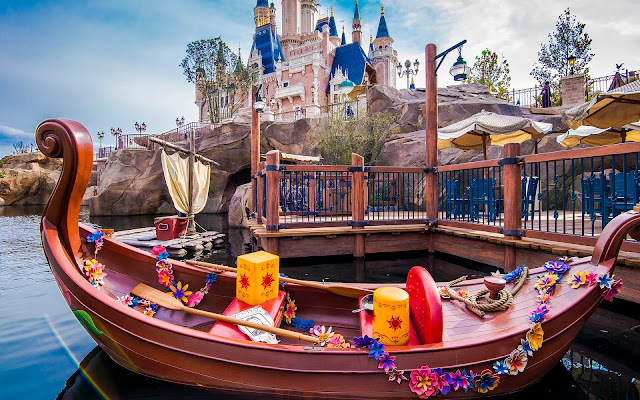 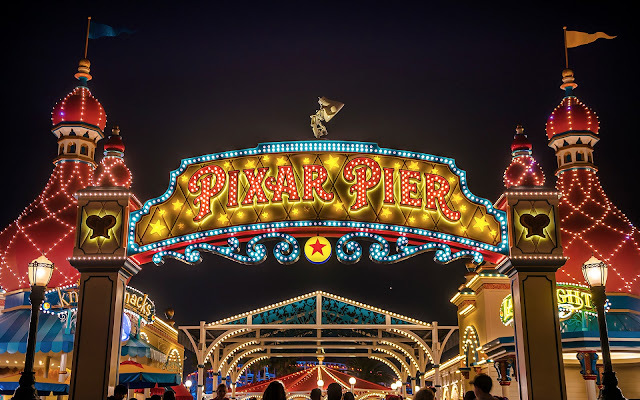 Unlike the other Disney Magic Kingdom parks, Shanghai Disney doesn't quite have the familiar, symmetrical, central hub that clearly frames views and alignments with the park's iconic castle. 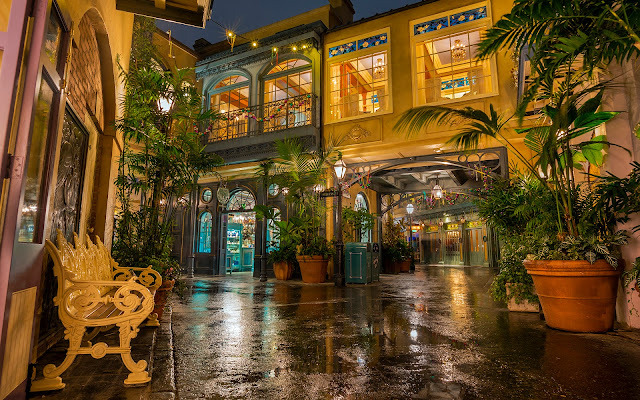 In Shanghai, there is a hub, but it is comprised of an entire themed land--the Gardens of Imagination. 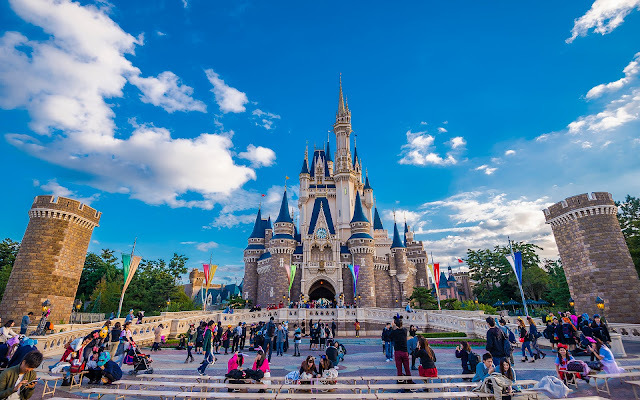 And this lush park land, influenced by traditional Chinese design, is organic and asymmetrical, providing different angles of the Enchanted Storybook Castle. 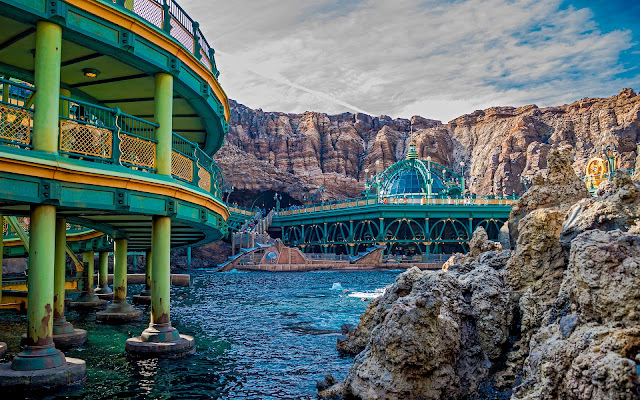 The "front and centered" view doesn't really exist in Shanghai Disneyland, but that doesn't mean that there aren't good compositions to be had. A flower bed, some light fixtures, and the biggest castle Disney has ever designed certainly make for a great frame! 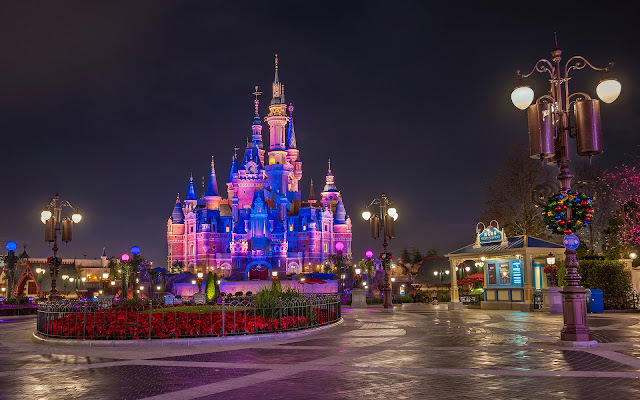 The Enchanted Storybook Castle towers in the distance on a Shanghai Disneyland night.